Since it first debuted in the tech world, Open Garden has been experimenting with its mobile mesh-networking app, getting a user’s personal devices to link to together seamlessly and share their Wi-Fi and cellular connectivity. Its end goal, however, was for its app to move beyond personal networks and create vast webs of linked devices all working collectively to find the best and cheapest link to the Internet. On Monday, Open Garden released version 2.0 of its app, which supports multi-hop Wi-Fi mesh networking and channel bonding. In English that means your PC or Android(s goog) tablet won’t just link to your smartphone and then to the Internet. Instead, it will also link to your neighbor’s smartphone, which in turn will link to the next smartphone over and so forth. The Open Garden software installed on all of those handsets and PCs will then determine which devices have the best connections to the Internet – be they 3G, 4G, Wi-Fi or Ethernet – and route all traffic through them accordingly. 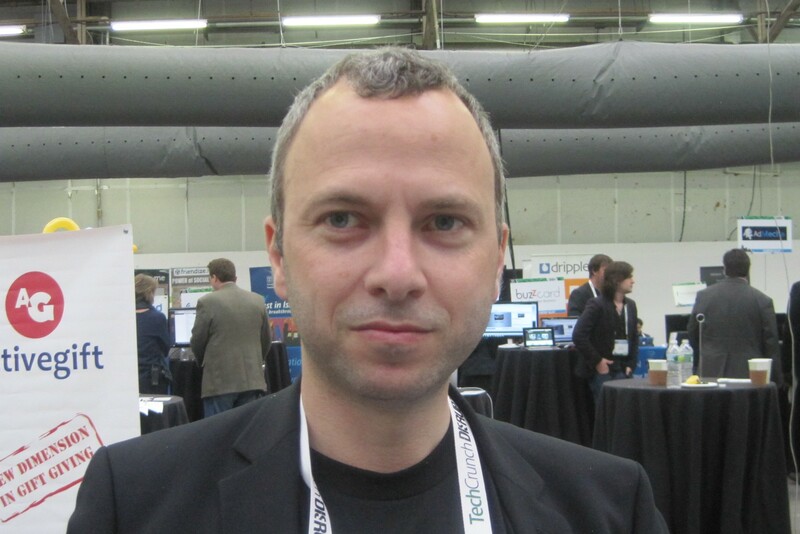 After more than a year of testing how its app performed more controlled single-hop environment, Open Garden co-founder and CEO Micha Benoliel said that the company is ready to see how its app performs in the more random world of unimpeded crowdsourcing. Open Garden waited until now because it didn’t have the density of users to make large-scale mesh networking feasible. With about 2 million installs to date, it’s still unlikely that one Open Garden user is going to encounter another at a mall in Omaha. But Benoliel said the platform has scaled enough that users are starting to bump into one another in New York and San Francisco as well as in parts of India. “We’ve started to notice that in San Francisco bytes are being exchanged between users even without multi-hop activated,” Benoliel said. What Open Garden hopes is that communities of users will form to maximize the potential for large-scale crowdsourced networks. For instance, Benoliel said he is working with a farmers’ collective in India to use Open Garden’s software to create vast meshes of thousands of nodes at local markets. Of course by expanding the scope of the network mesh, Open Garden also increases the potential for abuse. 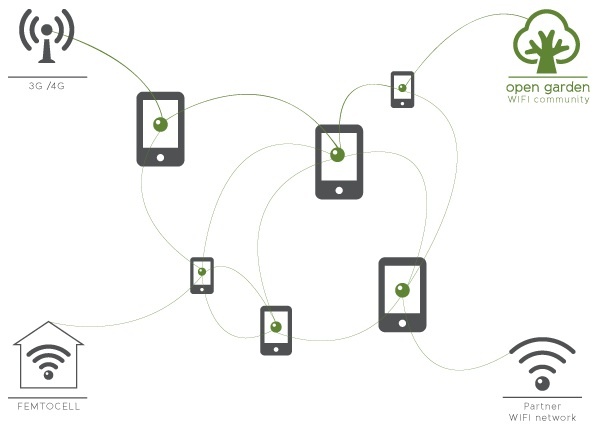 Open Garden’s algorithms are designed to spread traffic among multiple connections, favoring cheaper and faster links like Wi-Fi, but there’s always the chance that some users will use others’ connectivity without ever sharing their own. Benoliel said that due to the nature of Open Garden’s current user base he believes those abusers are still rare, but he acknowledged they will become a growing problem as more people adopt the service. Eventually Open Garden will put controls in place to prevent that kind of freeloading and to help cellular users stay under their caps. For instance, a user might set a maximum of 100 MB a week to share with Open Garden Community. Or the company might dictate that users can only consume a certain quantity of bandwidth from other people’s connections before being forced to share their own. But Benoliel said Open Garden wants to be careful about placing too many restrictions or creating too much complexity while the community is still young. In my view it provides a powerful, yet simple model, getting to the heart of the matter.